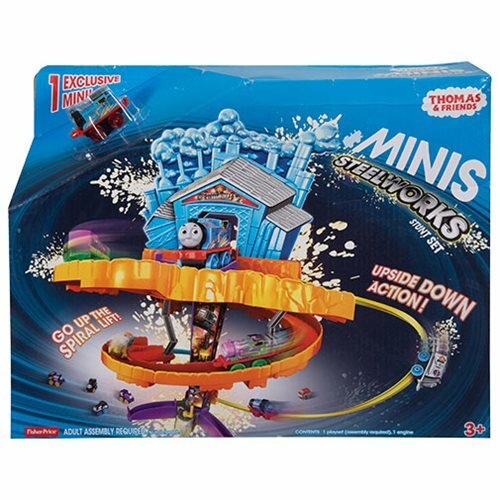 Send your Thomas & Friends Minis on a wild ride through the Steelworks! 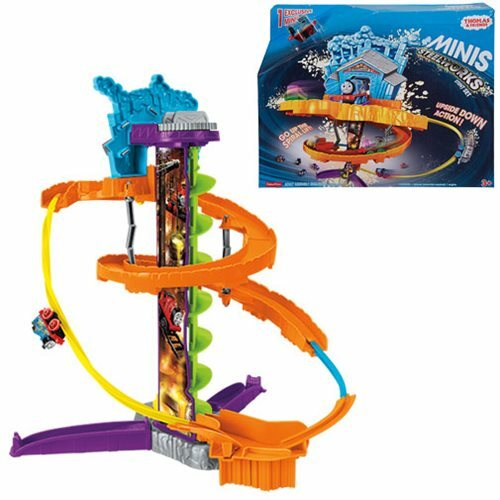 This Thomas & Friends Minis Steelworks Stunt Playset features a lift to raise Thomas to the top of the set. Once he reaches the top, use the switch to send Thomas down the i-beam or the ramp. The playset includes an exclusive Thomas Minis engine with cool Steelworks styling. 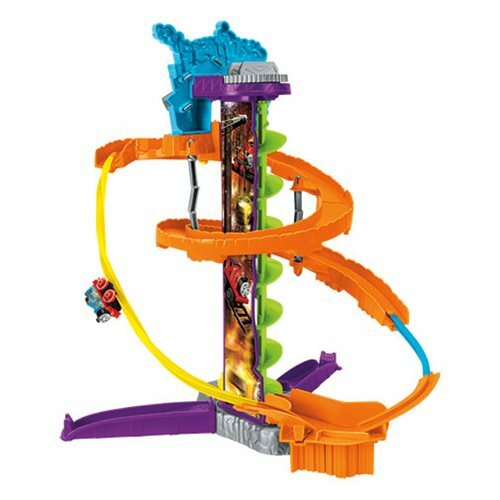 Compatible with all your Thomas & Friends Minis engines (sold separately), this playset also includes plenty of storage for your other Minis engines. With the Steelworks Stunt Set, you can create big adventures for your Minis engines!